Cloud for Disaster Recovery Protection. 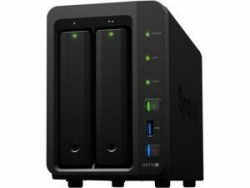 200 GB of Cloud Storage of 256 bit Encrypted Backups Included! A complete solution to your data management strategy. Your computers data is backed up nightly (or preferred schedule) to your networked storage device or to an external drive. Then the encrypted backups are transferred to our major (think big name provider) cloud provider, where we store and retain multiple versions based on your data size. The service is fully managed and the only action you need to take is the install of our custom agent on the computer, workstation or laptop. We provide the backup software, the cloud storage account, and all the installation, setup and configuration of the service. 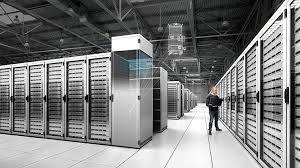 installation, setup of storage devices or routers, or for data recovery. On-Site service is not included if your Internet Service is unavailable. Disaster Recovery is limited to Telephone and Remote assistance, and involves customer interaction. On-Site service for Disaster Recovery to the same or replacement computer is offered at a discount. This Managed Service Special requires a first and last months payment on sign up. Recurring monthly payments are due via automatic payment on the 28th of each month. You will be notified via email on the 20th and your credit/charge/bank card will be charged on the 28th. A receipt will be emailed to you following the charge, and you will have access to your own account on our website. If the service is started in the middle of the month, the first recurring monthly charge will have a credit applied for the unused days of the first month. Upon Cancellation or Ending of this Agreement a 30 Day Notice is required and enforceable.